A3H is a nonprofit trade association of almost 200 activity and tour operators throughout the state of Hawaii. A3H is dedicated to insuring and promoting public confidence in the quality and integrity of it's members and their products. If ordering the card close to travel dates, use the virtual card emailed inside your confirmation. If time permits we'll mail a physical card along with map(s) of the islands you'll be visiting. Each card has a unique number printed on it. This number serves as your membership log in for our all things Fun to do in Hawaii site, www.hawaiifun.org. 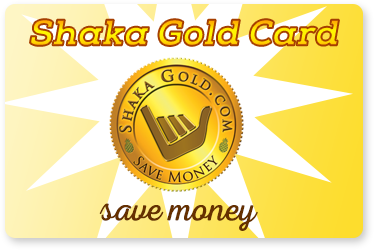 On www.hawaiifun.org you may book tickets directly with the companies at the Shaka Gold Card discounted prices. You may also call the companies directly to reserve your seats, just mention the card and provide your unique number. You don't have to book in advance or online. 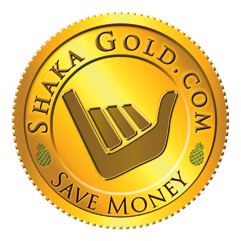 It is just more convenient online as you're able to book several items at the same time at the discounted rates (as long as you are logged in). Advance bookings are recommended, as many of the most popular excursions are booked weeks in advance. Don't waste precious vacation time planning activities. Plan your itinerary before you arrive. This adds to the anticipation of the trip while allowing you to Just Do It when you arrive!